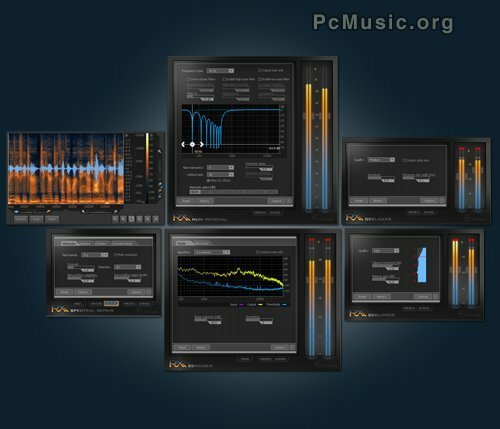 IZotope has just updated its audio restoration application / plug-in RX to version 1.20. • Support for markers in WAV and AIFF files in RX application. • Manually edit noise profiles in Denoiser with envelope. • Added visualization for Spectral Repair before/after regions in waveform/spectrogram display. • Added visualization for Declipper thresholds in waveform/spectrogram display. • Major optimizations to RX Denoiser Algorithms B and C.
• Added support for keyboard shortcuts which select a module's preset and apply that module. Useful for quickly switching between module settings (for example when using Spectral Repair repeatedly on large files). • Declipper threshold can now extend below -8 dB by zooming the histogram window. • Many performance improvements throughout all of RX's processing modules, especially when using RX plug-ins with small buffer sizes.